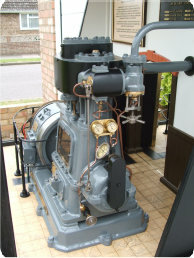 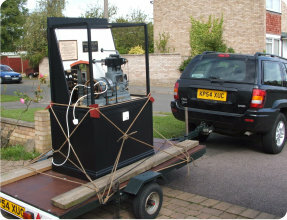 One sixth scale model of a 1950’s “Allen” Two Cylinder Compound Steam Engine Generating Set. 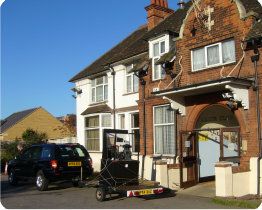 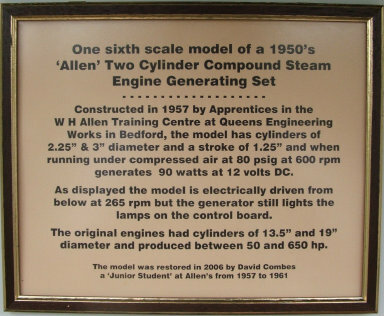 Constructed in 1957 by Apprentices in the W H Allen Training Centre at Queens Engineerng Works in Bedford. 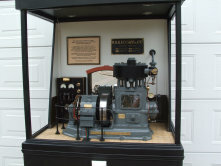 The model has cylinders of 2.25″ & 3″ diameter and a stroke of 1.25″, and when running under compressed air at 80 psig at 600 rpm generates 90 watts at 12 volts DC. 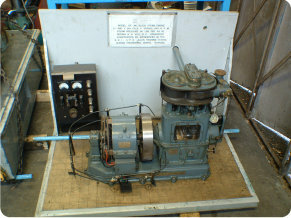 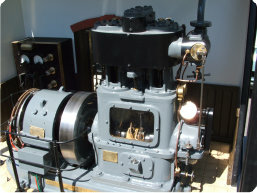 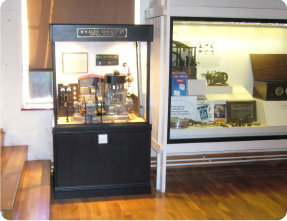 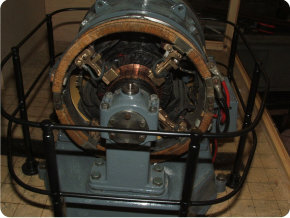 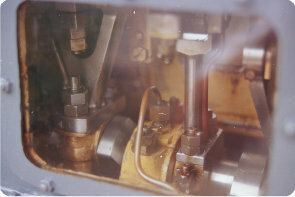 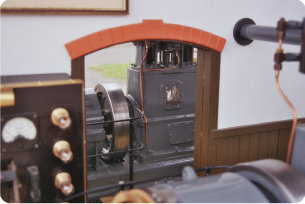 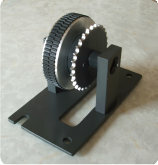 As displayed the model is electrically driven from below at 265 rpm, but the generator still lights the lamps on the control board. 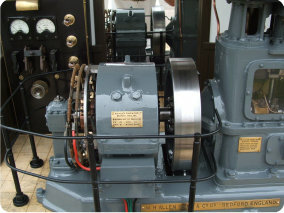 The original engines had cylinders of 13.5″ and 19″ diameter, and produced between 50 and 650 hp. 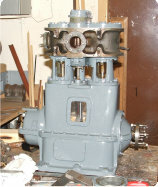 The model was restored in 2006 by David Combes, a “Junior Student” at Allens from 1957 to 1961.